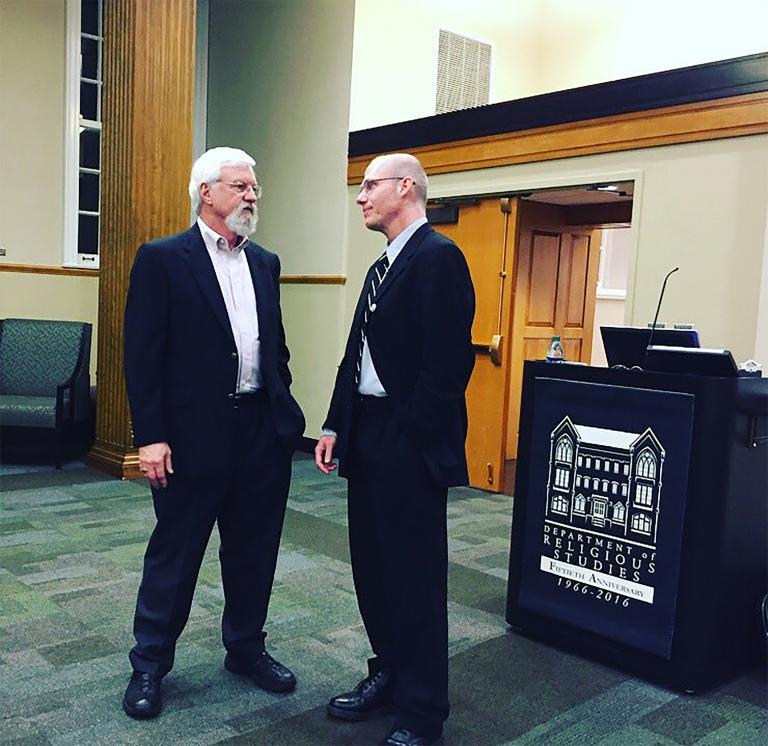 Dr. Jason Bivins (right), our 2006-7 Day Lecturer, speaking with Charles Day (left), whose family and friends made this series possible. In the 2012-13 academic year, the family of Zachary Daniel Day (pictured lect, with his father, at Honors Day) established an annual lectureship in the Department of Religious Studies to honor his memory. 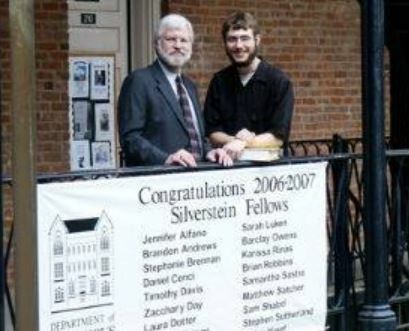 Zach, as he was known to us, was a religious studies major and anthropology minor, a Silvertstein Scholar (2007), and a graduate of The University of Alabama (in 2008), who died unexpectedly on July 21, 2011, at the age of 26. In Zach’s memory, and through the kindness of his father, Charles Day, and his stepmother, Nancy Campbell, and the generosity of his friends and family, the Department is pleased to be the home for the Zachary Daniel Day Memorial Support Fund which makes possible this annual lecture. Given Zach’s own interest in the intersection of religion with music, art, videos, gaming, and literature, this annual lecture will be devoted to the study of religion and popular culture. For photos of past lecturers, visit our Facebook page. Watch Prof. Bivins’s lecture: Parts 1, 2, 3, 4, 5.